So usually I don’t write about domestic legal issues here, but the legal doctrine of self-defense is one that, ever since I co-wrote DefendingHumanity with Fletcher, I have always felt is connected with comparative and international issues. I have been struck by the amount of incorrect information and poor legal analysis that has been floating around in the popular media about the Florida law. In particular, much of the Florida law appears not to apply to the situation involving Trayvon Martin. A reasonable fear of imminent peril is one of the requirements for exercising self-defense, but let’s see if the requirements for the statutory presumption are met. The attacker has to be “in the process of unlawfully and forcefully entering, or had unlawfully and forcibly entered, a dwelling, residence, or occupied vehicle, or if that person had removed or was attempting to remove another against that person’s will from the dwelling, residence, or occupied vehicle.” This is the so-called Castle Doctrine, and it simply does not apply in this case. From every report in the media, it appears that the confrontation with Martin happened on a public street. Unless law enforcement has different facts that have not been disclosed at this point, I fail to see how the Castle Doctrine is at all relevant to this case. Now, it is certainly true that in the Florida case there was no duty for Zimmerman to retreat, unless it could be argued that Zimmerman had no right to be on the street chasing down Trayvon Martin. Query: if a court were to determine that Zimmerman’s chasing of Trayvon Martin was motivated by racism, would that impact our determination of whether Zimmerman had a right to be there? Putting that question to the side, though, it appears as if the Florida law does remove the common law duty to retreat. But I want to concentrate on the second half of the provision, which says that deadly force can only be used if “he or she reasonably believes it is necessary to do so to prevent death or great bodily harm to himself or herself…” Jefffrey Tobin concludes on CNN that the Stand Your Ground law codifies a subjective viewpoint, i.e. it authorizes force when viewed through the eyes of the defender. I think that is a highly simplistic analysis. It certainly is the case that the defender has to have a sincere belief that the defensive force is necessary. True, that’s clearly subjectivist, but then the law adds a requirement of reasonableness. The question is whether to understand reasonableness subjectively or as an objective constraint on the subjective standard, i.e. that the belief has to be sincerely held by the defender but also objectively reasonable. To completely exonerate such an individual, no matter how aberrational or bizarre his thought patterns, would allow citizens to set their own standards for the permissible use of force. It would also allow a legally competent defendant suffering from delusions to kill or perform acts of violence with impunity, contrary to fundamental principles of justice and criminal law. The similarities between this case and Goetz are striking. Like Goetz, the question becomes how we consider Zimmerman’s attitudes about race, if a future jury concludes that Zimmerman’s (mis)assessment of the situation was influenced by preconceived beliefs and unwarranted assumptions about race. Under a standard like the one applied in Goetz, it would be hard to see how this would qualify as objectively reasonable, even after taking into account the particularities of the defendant’s situation and background. For those of you interested in international criminal law, I direct your attention to an online symposium at Opinio Juris about the future of modes of liability. The debate centers around James Stewart’s new article, “The End of Modes of Liability,” published in the most recent issue of the Leiden Journal of International Law. Stewart argues in his essay that all modes of liability should be replaced with a unitary theory that dispenses with the distinction between principals and accessories in favor of a unitary scheme based on the defendant’s causal contribution to the crime. Stewart argues that this unitary theory will correct the often overlooked excesses of complicity as a mode of liability. Critical responses are provided by Thomas Weigend, Darryl Robinson, and myself, with responses from Stewart here, here, and here. My response in particular focuses on the normative basis for maintaining a distinction between principals and accessories, and the inadequacy of punting these determinations of relative culpability to the sentencing decision. The issue of modes of liability is of particular concern to me, and I have recently posted a draft essay on indirect co-perpetration. 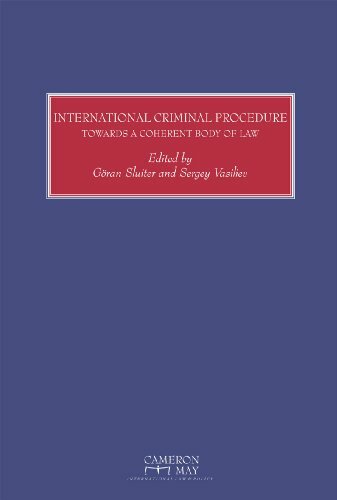 Although indirect co-perpetration is relatively unknown to criminal lawyers in the United States, it is of immense importance to ICL as I predict it will become the dominant mode of liability used at the ICC. Comments and suggestions are welcome. I promised to blog again about Eric Holder’s speech on targeted killings, and in particular the distinction that he drew between legal process and due process. Holder concluded that American citizens targeted by the U.S. drone program have a constitutional right to due process, but that due process need not take the form of legal process. In other words, citizen-targets do not have a constitutional right to contest their inclusion on the targeting list before an Article III judge, or even some other judicial process. So what due process remains after one takes legal process off the table? For Holder, it means an executive branch-only review of military targeting that ensures that American citizens are only targeted under strict criteria, including that the citizen poses an imminent threat to the United States. As I have already argued, Holder’s understanding of the concept of imminence is strained, and more closely tracks the concept of “immediate necessity.” The Administration believes that a drone attack is justified if it represents the last best chance to stop a terrorist, even if the terrorist attack is well into the future. But back to the issue of due process. If the due process is not judicial, i.e. it is executive-only, does that really count as due process? Part of the problem here is that although the Supreme Court has pronounced on what due process requires in all sorts of situations, there are precious few precedents regarding due process in military matters. One of the few is Hamdi, which held that an American-citizen belligerent captured on the battlefield has a due process right to contest his decision before a neutral decision-maker. Although that didn’t necessarily entail an Article III court, it did require a legal process, i.e. some form of tribunal that offered an adversarial proceeding. In contrast, the type of review described by Holder is not adversarial at all; it’s essentially a form of internal executive deliberation without any participation from the citizen-target. Of course, Hamdi is not a targeting case, which is precisely why it is difficult to analogize its holding from the detention context to the targeting context. Due process regarding detention is necessarily ex post, while due process regarding targeting, if it is to be meaningful at all, must be ex ante. (It’s meaningless to contest a targeting decision after the target is dead.) And that basically destroys the entire concept of targeting as it is understood by military commanders. So we are left with a complete lack of domestic judicial interpretation about what due process requires in the targeting context. 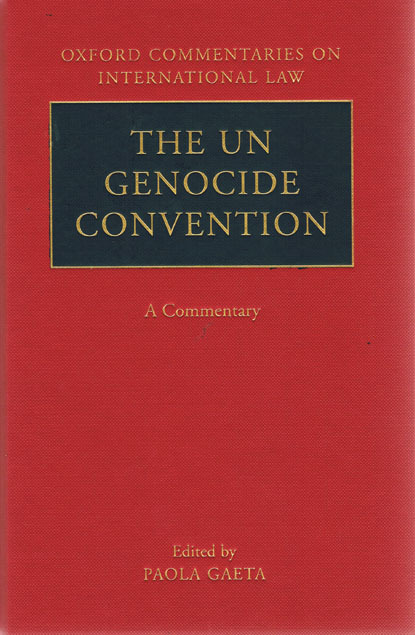 The other major problem with analogizing from Hamdi is that the Supreme Court’s discussion of the constitutional right was heavily informed by the due process required by the international law of armed conflict, in particular the right under the Geneva Convention to contest one’s status as an enemy belligerent. That’s a well-codified principle under international law, so the Supreme Court’s constitutional analysis closely tracked what international law already says about the issue. In that sense, it’s unclear how much – if any – of Hamdi’s substance actually hinges on citizenship, since the right as it exists under the international law of armed conflict applies to citizens and non-citizens alike. It’s a right that’s afforded to the enemy pure and simple. But there is no analogous norm regarding due process and targeting under the international law of armed conflict. So the constitutional analysis can’t simply curl back on the international law analysis in the same way that it did in Hamdi. That option isn’t available. Of course, some scholars will object that the due process right under international law stems from international human rights law, not the law of armed conflict, and that the targeted killing of al-Awlaki violated his human rights. I have written before about the co-applicability of international human rights law and the law of armed conflict to the same situation, and I won’t rehash my arguments here. But suffice it to say that, even if this argument has merit, then again citizenship doesn’t really matter. If the constitutional law analysis is going to curl back on a due process norm that stems from international human rights law, then it too applies universally and does not really depend on Awlaki’s status as an American citizen. One final note. Although the U.S. Supreme Court was comfortable relying on the international law of armed conflict to flush out the constitutional analysis in Hamdi, I wonder if today’s court would be as willing to rely on international human rights law to flush out the constitutional analysis regarding targeting. I suspect not. So the ICC has released its first verdict and it only took 10 years. Most media reports are concentrating on the substantive crime – the use of child soldiers – because that issue has suddenly gained popular currency with the Kony2012 viral video. But the Lubanga decision is also notable for the open disagreement between the judges regarding the mode of liability in the case. Although all three judges agreed that Lubanga was a co-perpetrator, Judges Benito and Blattmann adopted Roxin’s Control Theory of Perpetration, while Judge Fulford rejected the Control Theory, becoming one of the few ICC jurists to express serious concerns about the doctrine. To recap for those readers who aren’t as obsessed with modes of liability as I am: The Control Theory was developed by the German criminal law scholar Claus Roxin in the 1960s, and was discussed with approval by George Fletcher in Rethinking Criminal Law. It was influential in German criminal law circles but largely ignored in the United States, despite Fletcher’s extensive discussion of it in Rethinking. Roxin himself created an organizational version of the doctrine after the Eichmann trial, thus demonstrating the theory’s application to mass atrocity. The first significant judicial application of the theory came during the German Border Guard Cases after German reunification. 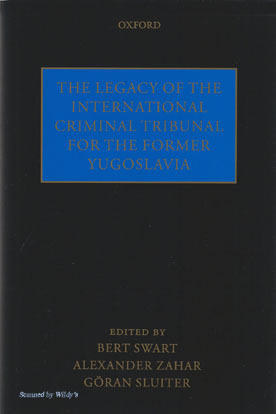 In its earliest days, the ICC Pre-Trial Chamber decided against applying the ICTY doctrine of Joint Criminal Enterprise that was closely identified with Cassese, and instead adopted Roxin’s Control Theory of Perpetration. It is therefore not surprising that the Lubanga Trial Chamber confirmed this approach, though the dispute between the judges on this point demonstrates that the Control Theory still has its detractors. Specifically, Judge Fulford complained about the hypothetical and counterfactual reasoning required by the control theory – a point that myself, Thomas Weigend, and plenty of others have made before. Because the control theory requires a finding that the defendant performed an essential contribution, one has to decide if the crime would have still occurred in the absence of the defendant’s contribution – hence the notion of “essential.” This is, necessarily, a counterfactual question, and the theory also gives too little guidance about how different the counterfactual crime must be before we declare it to be a different crime altogether, and therefore whether the defendant’s contribution was essential or not. These questions clearly weighed on Judge Fulford, leading him to conclude in his concurring opinion that the Control Theory created insurmountable problems for structuring ICC cases. However, Judge Fulford also had another objection to the Control Theory – one that I cannot subscribe to. Fulford complained that the control theory was being transplanted from another legal culture – Germany – where the distinction between principals and accomplices is of central concern, in particular because the statutory sentencing ranges for principals and accomplices differ significantly. Consequently, it really matters in Germany if the defendant is convicted as a principal or an accomplice. At the ICC, though, there are no statutory sentencing guidelines, so the distinction between principals and accomplices is of no practical consequence. Or so says Judge Fulford. I cannot subscribe to this reasoning. If there is a defect here, it is a defect in the ICC scheme on sentencing. The Rome Statute ought to have a more rigorous methodology for dealing with sentencing, but it does not. But even if that never changes, and judges retain full discretion to decide sentencing based on the individual circumstances of the case, the distinction between principals and accomplices still has enormous value. It’s part of the concept of fair labeling – i.e. that the law, and in this case the substantive doctrine of criminal law, should capture a defendant’s true and accurate culpability by applying the correct legal categories to him. A system that eviscerates the distinction between principals and accomplices fails to live up to the principal of fair labeling. I won’t belabor the point here, since it is the subject of a forthcoming exchange between myself and James Stewart in an upcoming OJ symposium sponsored by the Leiden Journal of International Law. One final point on precedent, a subject that I have started discussing recently at LieberCode. Although Judge Fulford rejected the control theory, he refused to apply his “plain reading” version of co-perpetration in this case. His rationale for this refusal was that to do so would be prejudicial to Lubanga, since Lubanga structured his defense around the Control Theory as it was expounded by the Pre-Trial Chamber. To do otherwise would violate the fair trial rights of the defendant. This argument strikes me as curious indeed. If Pre-Trial Chambers are going to give detailed exegesis on matters of law, which then apparently become the “law of the case” even if the Trial Chamber disagrees with them, then the law becomes static with more limited opportunities for revision. Of course, Fulford’s argument is presumably asymmetrical, in the sense that he is fine with changing the law if it benefits the defendant, but not if it prejudices him. Still, is Fulford suggesting that the same rationale would bind the Appeals Chamber in this case? Under this rationale, the ICTY Appeals Chamber should never have pronounced the JCE doctrine during the Tadic appeal. Kiobel Do-over: Will the Torturer Remain Hostis Humani Generis? Yesterday the Supreme Court issued a one-page order that directed the Kiobel case returned to the calendar for re-argument next term and also ordered the parties to brief a new question: whether the Alien Tort Statute permits an alien to sue in U.S. federal court for crimes committed in the territory of another sovereign. When the Kiobel case was originally argued last week, the lawyers thought they were arguing about whether corporations can be responsible, under international law, for human rights abuses, or whether the corporate liability question is governed by U.S. domestic law even in ATS cases. As it happens, though, the justices were more intent on asking about the exterritorial application of the ATS to torts committed outside of the United States. The lawyers were taken a bit by surprise, and the issue was not explicitly briefed by the parties. Everyone assumed that the extraterritorial reach of the ATS was an underlying assumption of the debate. Most litigants, ever since Filartiga, have assumed that the ATS had extraterritorial reach – and that was the entire point of ATS litigation. The briefing and second-round oral argument will presumably center around the presumption against extra-territorial application of U.S. statutes, something that Anthony Colangelo has recently written about. (Colangelo concludes that the relevant presumption as to the ATS ought to be Charming Betsy, not the Morrison presumption against extra-territoriality). Although it might seem like the Court is backtracking a bit, the only Supreme Court case directly on point is Sosa v. Alvarez-Machain, which had a strong connection to the U.S. since the kidnapping scheme, although executed in Mexico, was formulated and completed here. And as others have already noted, the language of the re-argument order is interesting. The court specifically wants the parties to address the applicability of the ATS for torts committed in other countries – not torts committed outside the United States. The difference is subtle, but piracy is committed outside the U.S. but not within another country; it happens in international waters. At least some members of the Court apparently want to concede that the ATS covers piracy outside of the U.S., but not torts committed within another sovereign jurisdiction. Human rights litigators are worried that this case is turning ought far worse than they ever imagined. The went into Kiobel worried that corporate aiding and abetting cases – the best cases – would be curtailed once corporations were deemed immune from suit under the ATS. But if the rehearing order is any indication, what’s at stake now is the entirely of Filartiga-style ATS litigation. If the ATS does not have extraterritorial reach, one wonders whether the torturer can still be, in the words of Judge Kaufman, the hostis humani generis – the enemy of all mankind. I guess they could still be an enemy -- just not a litigant here. I’ve been thinking a lot about how the concept of precedent functions at international tribunals. The issue is of perennial concern in the domestic context, but gets even more complex in the international context. Let me explain. The US Supreme Court recently granted cert in the University of Texas affirmative action case, Fisher v. University of Texas. This will give the court the opportunity, if it wishes, to significantly narrow or even overrule the court’s leading precedent on the issue, Grutter v.Bollinger, the affirmative action case arising out of Michigan. How beholden will the Court be to Grutter? This is binding precedent for the court, although the court is free to change its own precedents. And plenty of the court’s current members were not on the Supreme Court when it decided Grutter. What prevents them from simply voting with their conscience and as an issue of first impression? Well, stare decisis, or the abstract legal norm that favors stability in the law and a presumption in favor of prior precedent. As my colleague Mike Dorf has noted, Justice Kennedy accepted Grutter as precedent in Parents Involved v. Seattle School Dist. This suggests that, at the very least, Kennedy will not be cavalier about overruling Grutter. The issue is a little bit more complicated at international criminal tribunals, which have a unique structure. At the ICTY, ICTR, and ICC, for example, decisions are rendered by panels of three judges each, both at the trial and appeal level. However, unlike the circuit-level Courts of Appeals in the US, there is no possibility of en banc review by all appeal judges. That means that a litigant can win or lose a case depending on the views of the judges on their appeal panel, and they have no opportunity to ask the full slate of appeals judges to rehear the case. This creates a great risk of disharmony and conflict. One panel might rule one way on a matter of law, and a second panel might rule differently, and so one. With no opportunity for “super-appellate” review as Gideon Boas calls it, the result would be too much uncertainty in the law. As it happens, I don’t think there is a great level of disharmony at the ICTY and ICC. That’s because the hypothetical second and third panels aren’t as aggressive as they might be in disagreeing with the first panel. In other words, they treat the rulings of the first panel as having great precedential value, even though it only stems from three judges whose views might not be representative of the other appeals judges. So the views of a small minority of judges effectively bind the actions of a larger number of judges who might not agree with them, but are reluctant or hesitant to overrule them. This result is even more surprising given that international tribunals, like their civil law counterparts, do not formally recognize the doctrine of stare decisis, which is a common law principle. But whether they formally recognize it or not, it seems to me that something very much like stare decisis is at work at the international tribunals, and the need for stability and reinforcement in the law is treated as a prime concern, though only implicitly, i.e. this value is rarely expressed in the judgments. But you see it, in my view, every time an appeals chamber follows established ICTY precedent even though the judges on the panel have privately expressed some skepticism about it. A prime example is the Stakic case at the ICTY. 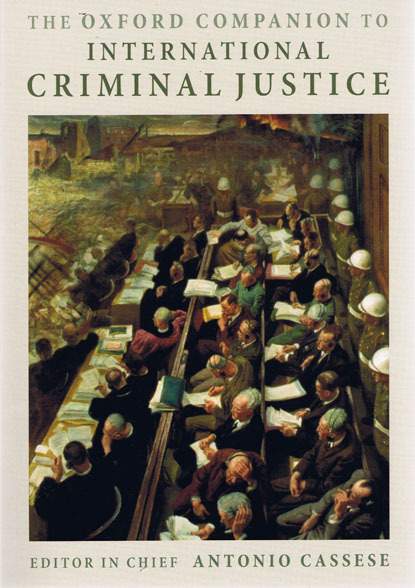 The Trial Chamber went to the trouble of not applying Joint Criminal Enterprise (JCE) in its Judgment, and instead applied co-perpetration based on Roxin’sControl Theory of Perpetration (a doctrine that has now greatly influenced the ICC case law). On appeal, an ICTY Appeals Chamber rather summarily dismissed the Trial Chamber’s attempt at judicial innovation. Instead of dealing with the underlying merits of JCE vs. co-perpetration as a matter of law, the Appeals Chamber just basically reiterated that JCE was settled jurisprudence of the ICTY. That sounds awfully like stare decisis to me, even if they don’t call it that. By the way, an American colleague of mine asked me why international criminal tribunals do not allow en banc review on matters of law. My answer? Because the ICTY Statute and the Rome Statute do not allow it. Yes, but why not he asked again? I didn’t really have a good answer for him. Maybe one of my readers who was at Rome for the original ICC negotiations can enlighten me?